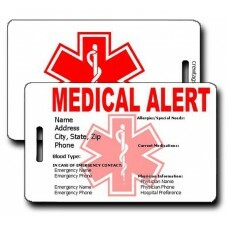 If you have a medical condition, you need to make sure that you have one of our Emergency information Luggage Tags on any bag that you carry with you. 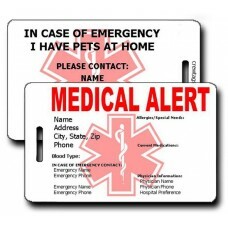 These are not just for travel, it could save your life at home too. 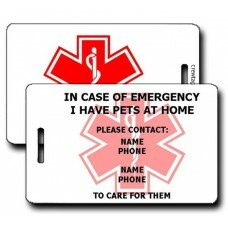 We even have special tags that let emergency workers know who to contact if you have pets at home.